The recent nor’easters left a good number of downed limbs and branches around the church property. 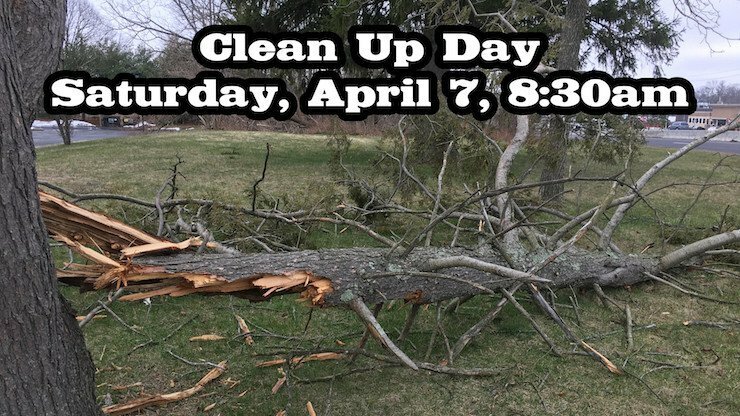 The Good Shepherd Buildings & Grounds Committee has scheduled a cleanup day for Saturday, April 7 starting at 8:30am. We are looking for help to help clean up the downed branches and to cut up the larger limbs. If you have a chainsaw or pickup truck it would be helpful to bring. If you have any questions, feel free to contact Marie in the church office at marie@gs4nj.org. There is a second work day that is scheduled for May 5 which will address other maintenance issues around the church property. Thank you for helping us be good stewards of God’s House.